AV Strategies is a Canadian dealer for Catchbox, a throwable microphone system designed to engage audiences and turn Q&A sessions into a fun experience. Catchbox is an event production tool that helps liven up events and shifts the meeting experience to encourage participation and discussion. The device makes asking questions in a packed ballroom much faster while the act of throwing a soft cube helps create fun, engage people in the discussion, and gets people talking. We all know that passing a wireless handheld mic is a slow and arduous task. With Catchbox there’s no passing the mic through a crowd, getting a runner to squeeze in between rows of seating, or trying to encourage audience members to come to an aisle mic. Simply throw the Catchbox to whomever has a question. Organizers love not having to enlist volunteers to run the mics; now they can sit back and enjoy the fun. Catchbox Pro is a module that allows us to convert our existing beltpack wireless microphones into throwable microphones. It’s a simple and inexpensive add-on to the wireless systems that we already use for our events. We can also order customized branded covers for Catchbox, so your Catchbox can include your logo and company colours. Ask us about Catchbox for your next event. Find out more on the catchbox site. 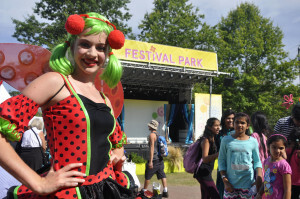 Each year Vancouverites look forward to the Fair at the PNE. The Fair is considered the best part of summer with exciting exhibits, rides, nightly headline entertainment and plenty of food & drink. AV Strategies provides audiovisual services for many of the live venues throughout the Fair. This year we are providing audio, video projection, LED Star Drape and live cameras in the Pacific Coliseum for both the SuperDogs and UNBELIEVEABLE: A Magical Experience. This show includes magic, comedy and breathtaking illusions showcasing a line-up of internationally renowned magicians and illusionists. We are also providing our Stageline SL-100 Mobile Stage and the PA sound system for Festival Park, a summer celebration of everything Canadian in anticipation of Canada turning 150 in 2017! avs is also providing the audio system and lighting for the Plaza Beer Garden featuring the Dueling Pianos. In addition to providing audiovisual support, the Fair’s Entertainment producer, Patrick Roberge Productions, engaged us to create a number of multimedia presentations to enhance many of the Fair’s live shows. We’ve created video components to support UNBELIEVABLE by producing the show’s impactful video opener and various vignettes throughout the performance. We developed the screen graphics for Hit the Deck, a dance show featuring Canadian music and our team also created the animated show logo for Mermaid Tales – a Journey under the ocean. 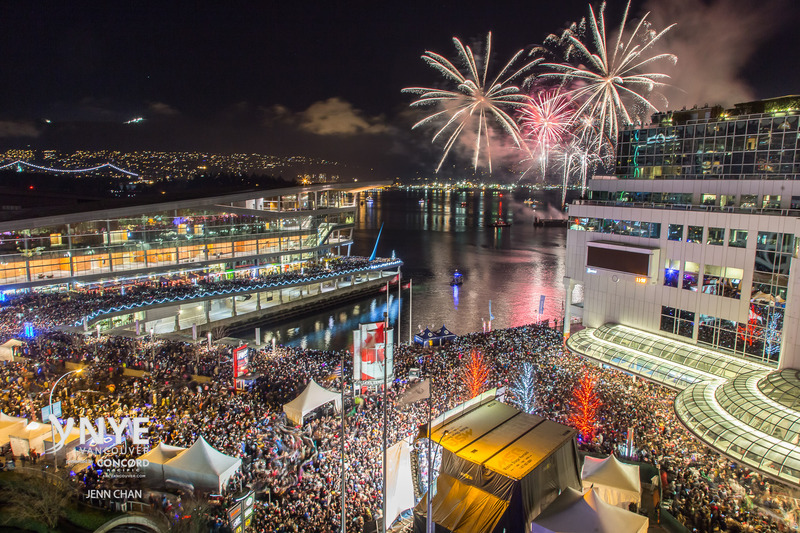 We are proud to be involved in the Fair and selected as the AV and production vendor for these events by great partners such as the PNE and Patrick Roberge Productions. 20 years ago one of the main differences between a professional video and amateur video was the quality of the equipment. Even then there was more to it than the cost and quality of the equipment but that was the primary reason why no one ever considered producing their own corporate video. There are still differences between professional and consumer equipment but gap in the picture quality difference is becoming narrower all the time. We now see productions that are shot and edited on an iPhone. With the equipment available to so many at a reasonable cost many people and companies consider producing their own video to save money. I have seen this done successfully but that is a rare occurrence. In most cases, what seems like a reasonable endeavor often proved to be much more difficult that thought at the onset. Like any other profession, video production is a skill that is learned in school and developed over time. Like an engineer, teacher, or dentist, video producers go to film or broadcast school and then spend many years in junior positions slowly working their way up to a senior production role. This gives them a base of knowledge that helps them do their job and know instinctively what will work well and not so well when producing a video. Lighting is hard to do properly when not trained so the best thing is to use the natural light but move the subject to where the light is most flattering. Don’t shoot a subject that is strongly backlit and make sure there are no harsh shadows. Using a camera mic usually sounds hollow and makes it hard to hear what is being said. A simple way to address this is by buying an inexpensive lavaliere microphone from an electronics store such as The Source (Radio Shack). The microphone will plug into the camera’s mini audio jack and then can be clipped to the lapel or tie of the person speaking. This always makes a huge difference to the quality of the audio. If you can’t get a microphone then ensure the subject is close to the camera in a place without much ambient noise. Everything picks up on camera so if a plane goes overhead or a loud car goes by then you need to reshoot the segment. Shaky footage caused by the camera being handheld is the biggest problem to overcome. The best way to address this is to buy a tripod and use it. Having your camera solidly mounted on a tripod will make the biggest difference to the look of your footage. Avoid zooming and panning. To get a smooth zoom or pan is very difficult. Most consumer cameras don’t have a very good controls for zooming and often the zoom is on or off rather than having a variable speed. Both zooming and panning require professional cameras and tripods to do properly and require the skill of an experienced camera operator. It is best to shoot your topic with various camera angles and framings and try not to zoom or pan. Zooming and panning are also techniques that are used far less often in a professional production than most people think. Look at a television show and note how often you see a pan or zoom vs. a series of shots with different framings. Finally, you need to edit your footage. In a production the editing is as important as the shooting. We typically shoot hours of footage for a fairly short 3-5 minute video and then select only the best shots for the final product. Editing also requires organizing your footage and putting shots into sequences and adding music, graphics, and transitional effects. This is where the rough footage comes together to make your final production. The bottom line is that producing a high quality video that looks professional is much harder than it appears. Video has a huge impact on how customers perceive you and your business so it is worth doing right. Customer testimonials that provide insight into your company’s value and how you have solved problems for customers. Creating a website advertisement that promotes a particular product or promotion online. Incorporating video on your website provides a powerful tool to increase the popularity of your web pages. Whether you want to earn money, share knowledge or increase page views, video can make your site more dynamic, more engaging, and will at tract and keeps visitors on your site longer. Consumers are watching video online for entertainment and information at an increasing rate. It is expected that online video will account for over 70% of Internet traffic within the next few years. We turn to YouTube and other online sources regularly to learn about products, services, and techniques more and more. When people want to know how to fix a lawn mower or lean a new piece of software the answer is online and usually it is the video demo that gets the first click. In addition to the value of video as a communications tool it is also a great marketing tool for your business especially when you consider the SEO benefits of having video on your website. Businesses spend a great deal of money to create their site and then a lot of time and money to do the search engine optimization. Search engines love video, and you can use video to drive a lot of traffic to your website. Why? Well here are few reasons why video can improve your search engine results. Search engines use time spent on a page as an indicator of page quality. For this reason a high bounce rate or ‘short click’ is seen as an indicator of a lower quality page, while more time spent on a page is an indicator of a higher quality page. Video is a key strategy in getting people to stay on your page longer, but only if the video is well produced, engaging, and relevant to the viewer. Studies have indicated that viewers stayed an average of two minutes longer on a website when they watched a video. Your chances of getting a page one listing on Google increase 53 times with video because there is still much less competition for video pages. The largest search engine in the world is Google. YouTube is the world’s largest video sharing community and the second largest search engine. Google also owns YouTube so it is not surprising that YouTube dominates Google’s video results with around 80% of results. The remaining 20% of video results come from Vimeo and a variety of other less established video search engines so you get the biggest bang on YouTube but it doesn’t hurt to also post video’s on other sites as well. The types of videos that rank the highest in search engine results are informational type videos. Informational videos make up approximately 80% videos search results while sales and marketing videos don’t rank as well. The bottom line is that video is essential to compete for search results. Video is also a great tool for communicating company information, building your brand and making your site an informative and entertaining online destination for your customers. 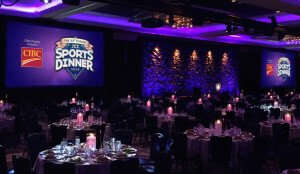 Working for our production client In Any Event Design, the avs team provided multimedia production and audiovisual staging for the JCC Sports Dinner 2016 at the Hyatt Regency in Vancouver. 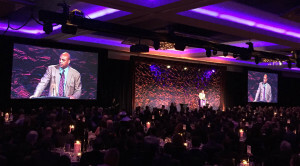 We provided lighting, audio, video projection, and audiovisual design services, with rock drape incorporated to serve as a simple but effective textured backdrop to the stage. The event included a keynote address by basketball legend “Sir Charles” Barkley. 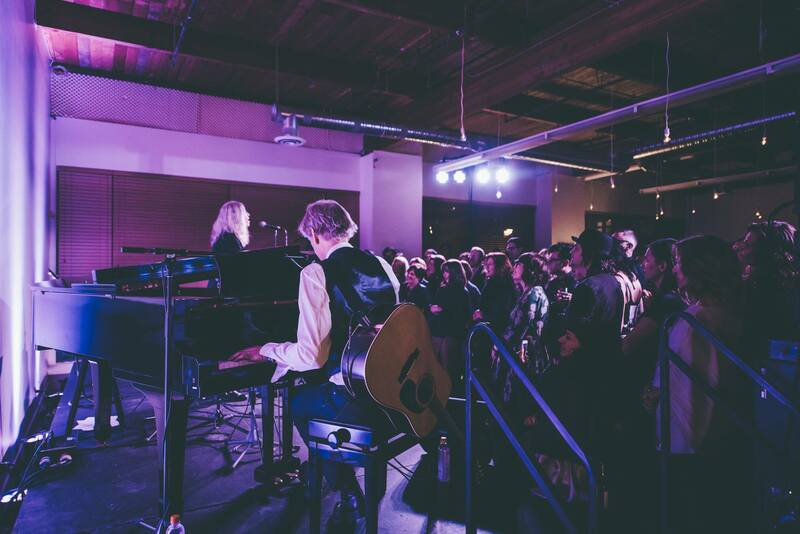 avstrategies provided audio & lighting production support for an intimate private show featuring Patti Smith, performing with band member Tony Shanahan. The party celebrated the 20th Anniversary of Pyrrha Jewelry and was held at their new Vancouver studio on November 21st. We provided a Meyer MINA package for audio reinforcement and utilized some of our new Elation SixPar 200 fixtures for ambient room lighting. Check out our team in Toronto all ready for the Rogers Hometown Hockey tour! The travelling hockey festival will feature our Stageline SL100 – with certified tech Martin Jordanov and Meyer audio support for the entire tour … and for fans there’s also entertainment, hockey and live music along the way! 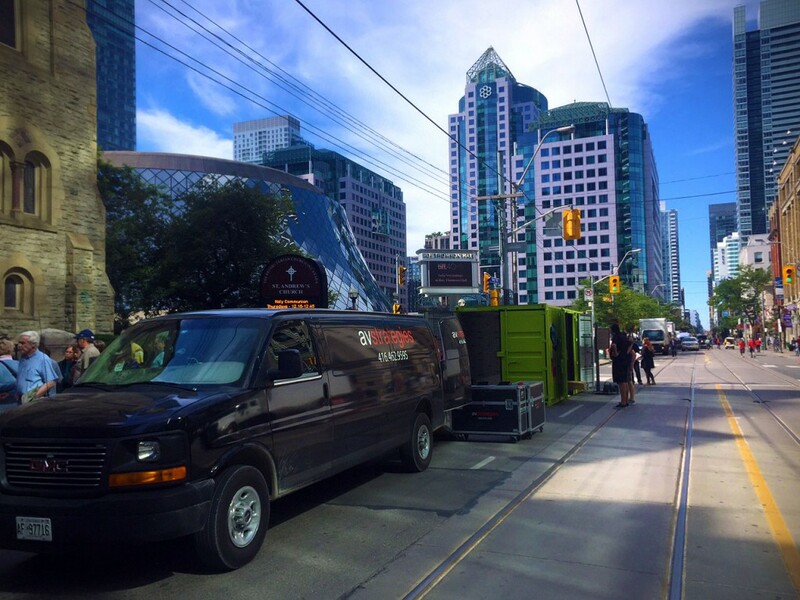 Here’s yesterday’s load in before the action on Festival Street (King Street West) in Downtown Toronto! AV STRATEGIES LTD. ACQUIRES DIRECT IMPACT MEDIA INC.